Kinofilm would now like to announce the revised dates of the 12th KINOFILM Manchester International Short Film Festival will be 4th – 8th June 2014. As in 2010 we are focusing primarily on European and UK productions and this will be our second European focused festival but we also welcome quality submissions from outside of Europe for our International Panorama strand of the festival. CALL FOR ENTRIES NEWS: Submissions to Kinofilm have been extended into 2014 taking into account the new festival dates. The festival submissions Early Bird entry is closed but the current deadline is now open to 28th February at a cost of £25 (non-student rate). There is a seperate rate for filmmakers from the North West of England (UK) for £15 valid from now untill the 31st January. We also have a special reduced rate for students of £10 (see the submissions page for full range of fees). (see below for full range of fees). Application forms to submit your film direct to Kino can be downloaded by clicking on the links below (please select either Word or Pdf versions) or for those on Without a Box you can submit through WithoutaBox. Or you can also submit through any of the following sites: WITHOUT A BOX, FESTHOME, CLICKFORFESTIVALS, MOVIBETA, and FESTIVAL FOCUS for our “3 Minute Wonders” free Competition. Submissions are open now on all site incliuding WAB. Please note the current deadline of 28th February, fees will change on 1st March to £15 (student), £20 (North West), £30 (all others), so submit early to get the best rates. All categories of short film are welcome, fiction, experimental, animation, documentary, student films and music videos. The maximum length is 20 mins (unless agreed in advance with the festival director) and films must have been produced within 18 months prior to the festival dates. There is an emphasis on European productions but we welcome international entrants for our special International section of the festival including international award winners. For the forms and to submit your film via post please down load the forms below. RED HEADS – this year we will have a special programme of short films made by Red Head (Ginger) filmmakers or where the central character in the film is a red head (ginger), in celebration of UK Red Head Day in Manchester. For direct postal submissions please download and use the forms below, complete and send with DVD and payment (or use the paypal link below). Please note that due to loss of funding the only way we can produce this festival is through submission fees and sponsorship, therefor we have had to increase charges this year as follows. Currenly untill 28the Feb: North West of England (£15), Students (£10), all others (£25). 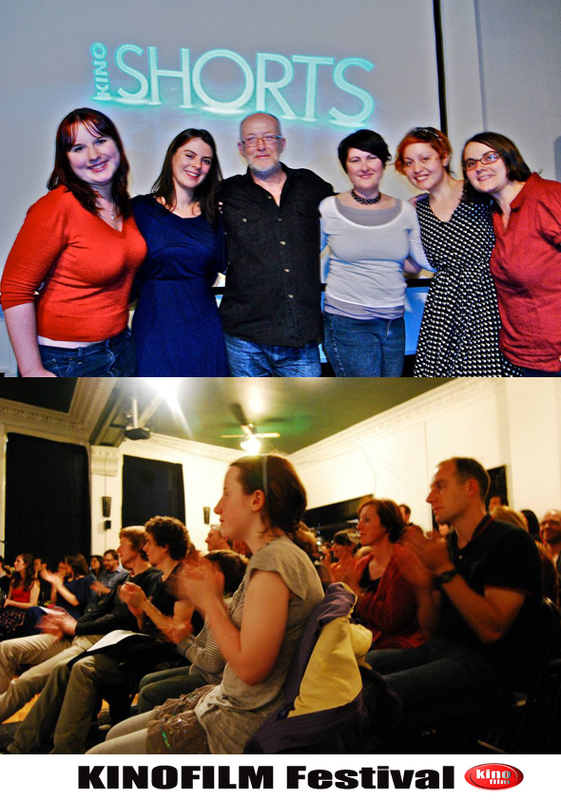 Then throughout March: North West of England (£20), Students (£15), all others (£30). Extended and Final deadline 14th April: North West of England (£22), Students (£17), all others (£35). (Some reductions may be available in exceptional circumstances to all entrants, please contact us is if you believe you should qualify for a reduction in submission fees or partial waiver (granted in exceptional circumstances). PLEASE NOTE, FILMMAKERS FROM GREATER MANCHESTER AND THE NORTH WEST CAN SUBMIT FILMS AT THE DISCOUNTED RATE OF £15 THROUGHOUT FEBRUARY IN RETURN FOR THEIR SUPPORT FOR OUR MONTHLY EVENTS THROUGHOUT THE YEAR. THIS DISCOUNT IS ALSO AVAILABLE TO FILMMAKERS FROM OUTSIDE THE REGION WHO HAVE PAID AN ENTRY FEE PREVIOUSLY TO KINO SHORTS IN 2013 BUT YOU MUST CONTACT US FIRST. WE ALSO OFFER A CURRENT DISCOUNT TO ALL STUDENT FILMMAKERS OF £10 (FILMS MUST HAVE BEEN MADE AS PART OF AN EDUCATIONAL ESTABLISHMENT TO QUALIFY). To use WAB please go direct to the Kinofilm submissions page on WAB, express login here WAB or click on the WAB logo below to go straight to our festival page. Or you can also submit through FestHome site (online submissions available). If you are submitting your film by the traditional method (DVD screener) download the forms above and pay your submission fee via our paypal account by clicking on the paypal button below. Please remember to enter your film title and the fee amount in the notes section. Filmmakers /companies or anyone interested. You can make a donation to help make Kinofilm happen. Just click on the donation button in the right of any page. SUBMISSION FEES: Please click on the paypal button to make your payment and enter the correct fee please. Untill 28th FEB; Full Price £25 / Northwest £15 / Students £10 (see revised entry fees above for full details of fees from 1st March). Please note: We reserve the right to alter the festival dates if necessary or in circumstances beyond our control. Submissions through WAB are now open. Submissions are now open through WAB. Do you accept single Secure Online Screener submission? If not, is there a way to submit through an ONLINE method instead of posting? Yes you can submit through any of the online platforms, Clickforfestivals, or Movibeta.